It is often taken for granted that the United States consumes and wastes 5 times more than the rest of the planet. At the same time it is well known and highly advised that dramatic reductions in carbon pollution is needed to address climate change. We also know that having practical skills, strong community ties, and smart local food systems and economies, are fundamental recommendations for those concerned with resiliency in an a climate changed world in transition. 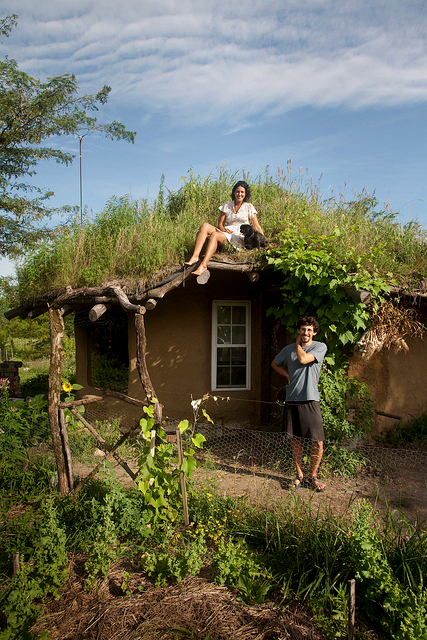 What if you could create and live together in an ecological and resilient society, while it also being… Fun? Dancing Rabbit Ecovillage is built on a commitment to both – environmentally conscious decision making and making a great place to live. The results of their ecological efforts account for a 90% reduction in pollution and resource use compared to the average American. This puts a person at Dancing Rabbit’s environmental footprint at only 1/2 of the average around the rest of the planet! Some of the ways they are able to do this includes ecological and recycled building materials, producing renewal energy from wind and solar, a waterless waste compost system, and a car sharing cooperative. While professions vary, and it is not an income sharing community, on average people are able to thrive with total annual living costs of under $10,000. This is near half of their local average cost of living, and even less when compared to the national average. Transition US has written an article about Dancing Rabbit’s vibrant example of ecological covenants and creative cooperative culture. 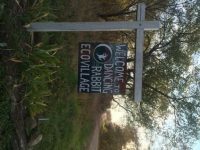 from friend and family and headed to northeastern Missouri to set up what is now known as Dancing Rabbit Ecovillage, a successful intentional community and 270-acre community land trust. Their idea was to “move beyond protesting ecological destruction towards finding a positive alternative for ecological living.” Sound familiar?